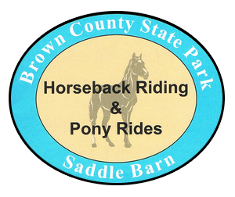 Spend the day enjoying outdoor activities at Brown County State Park Saddle Barn. We're a family-favorite in Nashville, Indiana, known locally for our scenic hay rides. Check our calendar to see our avilable times. 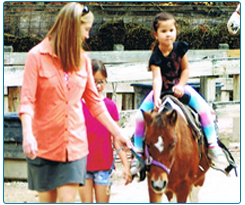 Pony rides are a great way to introduce children to horseback riding in a safe, unintimidating environment. These rides are perfect for children who are a little too young or too nervous for full trail rides. They choose any pony they want, and parents lead them around the ring. Our goal is to make this a fun experience for everyone involved. Children can even pet the pony and take pictures with him too Oftentimes, they remember the name of the pony they picked and ask for him or her again, so it's a bonding exercise as well. Each trip around the ring takes three to five minutes depending on how fast parents walk. Our price is $3.50 per lap ($0.50 discount for those paying in cash) or three laps for $9.00. Enjoy fall foliage and great scenery in a clean, family-friendly atmosphere. 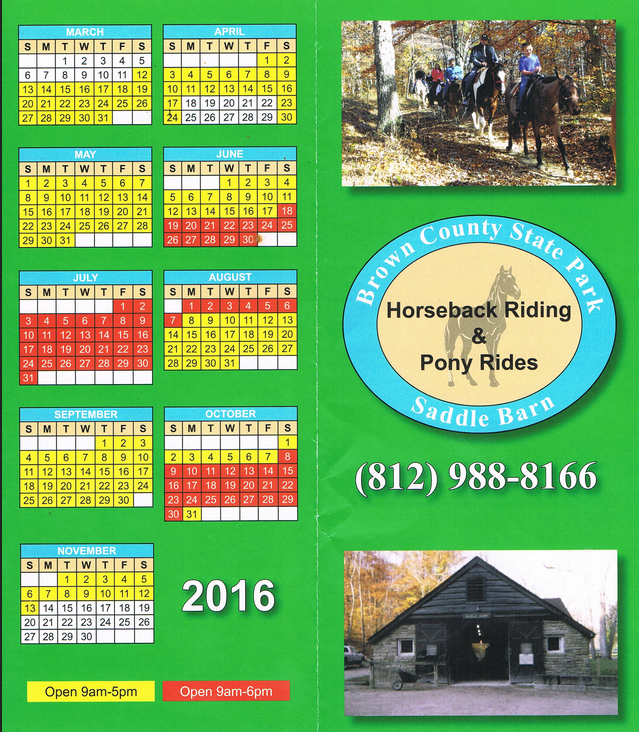 Hay rides begin May 27th and run every Friday and Saturday evening through October 29th. Rides start at 7:30, departing from the campground Country Store, and last around 30 to 35 minutes. We also offer private hayrides which can be scheduled anytime, call for pricing and availability. These rides are an approximate five-mile loop and take you past the scenic views of Nashville. Kids love to bring flashlights and look for deer in the dark. This is an affordable activity for all campers. Our price is $3.00 per person (cash only) or free for children ages three and under.